ainsworth custom design is a metal fabrication studio that has been happily located at the east end of Granville Island in Vancouver since 2001. Over time, ainsworth custom design has evolved into a dual creative space divided by a transparent wall. The welding shop in the back is the metal fabrication studio. We specialize primarily in furniture and functional pieces and work mainly in steel, stainless steel and aluminum. 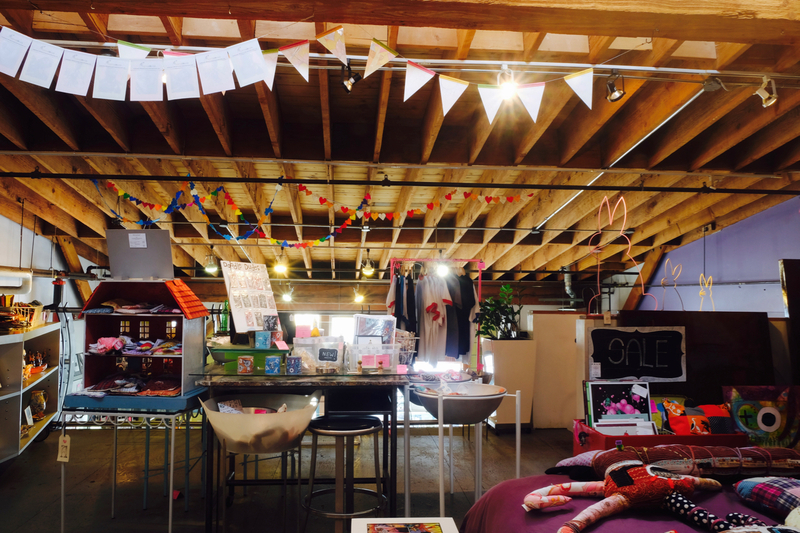 The front of our space contains the store which is filled with hand made works galore. Displayed on and amongst the in-house fabricated furniture and fixtures is a plethora of hand made creations produced by over 40 local artists. 3 years ago on our visit from the UK we bought a glass heat resistant table map which has a design painted on the reverse side. When we visited again July 2012 we couldn’t find you! Please can you tell me if we can still purchase these placemats? I believe ainsworth still has this artist in stock. what was your design on the glass? Very cool shop with unusual items. Always a delight to shop or look around. One of our favourite places on the Island.